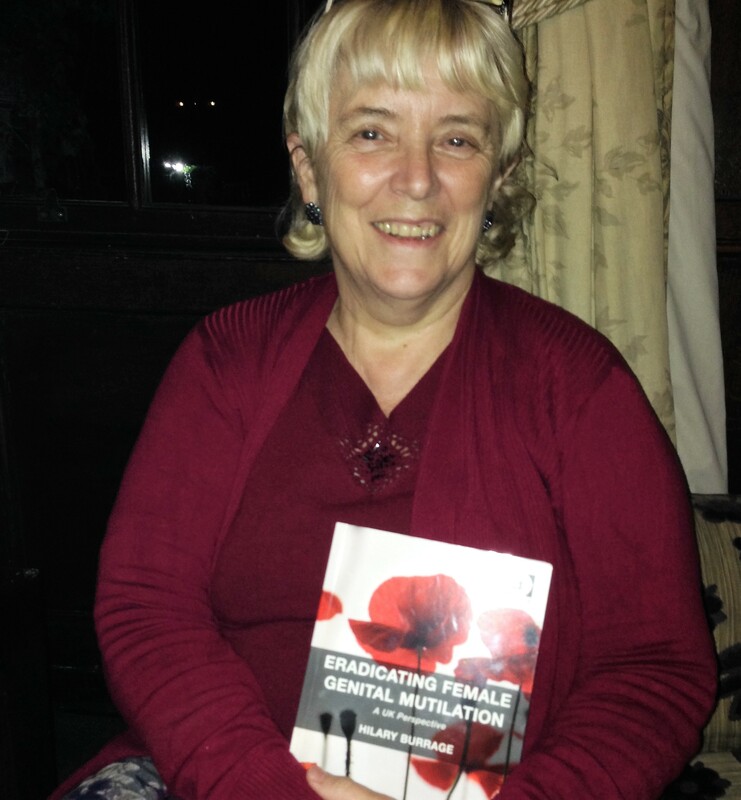 My book, Eradicating Female Genital Mutilation, is now published and available for everyone to read. It can be obtained from the publishers, Ashgate, in paperback, hardback and e-formats, or from any good bookshop. Below is the account which I wrote for the Ashgate blog of how the book came about. As I say in that piece, this is a book which should never have had to be written. But now that’s done, I hope very much that soon we can close the conversation and consign the whole phenomenon of FGM to history. 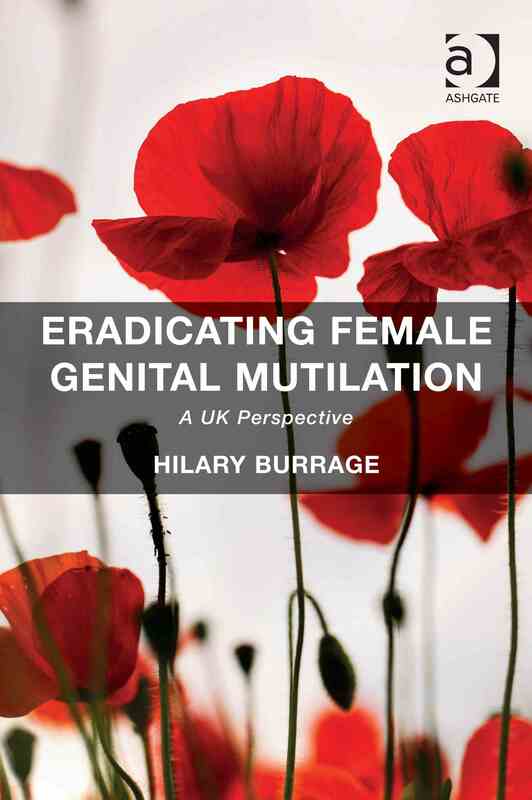 > Hilary Burrage has written the most definitive book ever on FGM. An invaluable tool to help eradicate it worldwide. A personal triumph. > … Outraged at ineffective child protection, Burrage provides a comprehensive, scholarly yet accessible guide – the first ethically correct textbook in the world about FGM and among the best ever – to professionals and all people of conscience. In bookshops or from the publishers now. Eradicating Female Genital Mutilation: a UK perspective is a book which, ideally, should never have been written. Like almost everyone else– but certainly, I now know, not absolutely everyone – I entered the Millennium in the belief that FGM in Britain was a thing of the past, a footnote to a truly awful ‘practice’ which sadly had occurred occasionally in London until it was outlawed in the UK by the Prohibition of Female Circumcision Act 1985. Yes, I had written a letter or two to my MP back in the 1980s, and had asked questions where I could; the legislation, I had been assured, meant however that I need concern myself no further. But with the Millennium came the internet; and with that came the brave decision in 2003 by members of the Inter-African Committee (IAC) – on 6 February, now the annual International Day for Zero Tolerance of FGM – to alert the world to a hard truth: the grim reality that FGM had not been stopped forever in Africa or anywhere else. Rather, the incidence of this harmful traditional practice was probably increasing, with some 130-140 million girls and women world-wide affected. And slowly, evidential shred by evidential shred, it became apparent that, as diasporas from various parts of the world made their homes in Britain, so was FGM being practised more in the UK. Even that however was not all. I learnt via the world-wide web too that so-called ‘female circumcision’ is not as it seems. I believe no unnecessary hurt to children should ever be inflicted, but FGM can be an act well beyond what is normally understood as ‘circumcision’. I discovered it can comprise the fully intentional removal of almost every part of the external female genitalia, usually without anaesthetic or asepsis, and often on small children. By 2006 my mind was made up. I am a (grand)parent and a human being. I decided that my training as a Sociologist and my professional experience in areas like social care and health policy would henceforth be focussed on support for long-time lone voices opposing FGM, the then-few self-identified survivors, and people such as (the late) campaigner Efua Dorkenoo, the Paris attorney Linda Weil-Curiel, the American literary academic Tobe Levin and other stalwarts who have been resolute against FGM for many years. The invitation to write for Ashgate which arrived a few years later from Jonathan Norman was therefore an opportunity which, after many months of research and reflection, I knew I should not pass by. Nowhere could I find comprehensive, cohesive, up to date and easily available reportage and commentary all together on aspects of FGM in the UK and the wider Western world. Certainly there were admirable books, documents and, later on, websites concerning specific aspects of this harmful traditional practice, but little in the way of published sources for everything in one place about FGM in general, and / or specifically about FGM in Britain and first world nations. I would have to try to write a textbook, handbook, primer or whatever myself. Eradicating Female Genital Mutilation is that book – a project which has taken more than four years to complete. I am under no illusion that my efforts comprise more than one small start, but I hope such an approach, alongside other on-going work, will help to build a conjoined, inclusive inter-disciplinary field – not just a disparately funded multi-agency approach (essential though agencies are) – from which an articulated, shared paradigm for the eradication of FGM and other child abuse in the developed world will more clearly emerge. I want to know that survivors will be enabled to play a part in eradicating FGM without also have so much of the burden placed on their shoulders: the safety of children is a responsibility of us all, not only of those whose trust has been breached. I want to see an approach where professions do not engage in turf wars arising from a failure at the highest level to ensure policy co-ordination and substantive support. And most of all I want to see a world in which my book can be dispatched to the archives, a world in which children are safe and FGM no longer occurs. The nations of Europe, North America and Australia have capacity and capability if they so choose to consign FGM to history without delay; and it must be done. If the prime role of the leaders of democratic states is not to protect the most vulnerable, those states have surely lost their way. Eradication of FGM in the Western world would make a massive impact across the globe and, most importantly of all, it would mean that many thousands of little girls now at risk would be spared unspeakable pain, reaching adulthood instead as healthy, autonomous women. I have no easy answers; I aim only to spark serious, open debate about how the academy can join forces in a fitting way with those on the frontline of positive, value-oriented action. To that end I’ve devised a website for the topics in my book, where readers can elaborate (and doubtless correct) information, and discuss the issues further. The point of my book is not the rigorous, even vigorous, exchange of views, essential of course though rigour remains. The point is whatever contribution to a fundamental common good may flow from these and other’s exchanges. Female genital mutilation is an egregious human rights abuse visiting shame on us all. It is patriarchy incarnate, a brutal abomination. It must stop. Information on how to order the book can be found here (UK etc) and here (Americas). These are links to the detailed Contents, complete Introduction (24 pages) and the full Index for the book. The #NoFGM Daily News carries reports of all items shared on Twitter that day about FGM – brings many organisations and developments into focus. Also available to follow is daily news from NoFGM_USA. For more on FGM please see here. UK Government: Enforce the UK law which forbids FGM (Female Genital so-called ‘Cutting’) ..